Hello bunnies! So earlier this week, Memento Mori closed early. It was really kind of a bummer, because the event wasn’t a long one anyway, and closing half a week early wasn’t awesome for anyone. But unfortunately, it was a necessary move on behalf of the organizers. People were going to Memento Mori and then camming in to The Epiphany sim to play the machines that were being set up. Guys. Seriously. Don’t do that. But now that The Epiphany is officially open, they’ve decided to re-open Memento Mori! 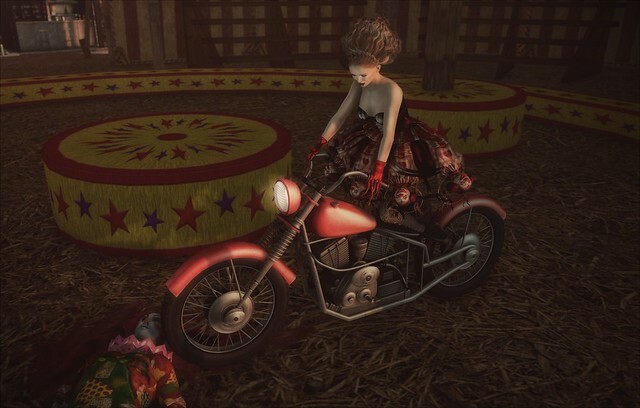 Now PLEASE keep in mind that the sim Memento Mori is on is also a cam shopping sim for The Epiphany, so it might be laggy or full for a bit, but you WILL eventually get in. I did this photo a few hours before it closed and was sad that I wouldn’t get to post it in my blog, but now I can! I really love the Growing Within cuts and flowers by Ama! The tattoo cuts are Omega compatible, so I was able to use them on my Maitreya body, Slink hands, and LOGO head. And the little daisies are not rigged, so you can move them right where you need them. Memento Mori is now open again, and I believe it’ll run until at least the end of the month. Go shop and get some great items! !